Team Quotient is widely acclaimed by industry leaders and best-selling authors alike as the leaders operating manual for building High Performance Teams. 'Team Quotient is a novel concept which both measures team effectiveness while offering a roadmap for your team success! — Marshall Goldsmith, The international best-selling author or editor of 35 books including What Got You Here Won't Get You There and Triggers. 'A must read for leaders who want to maximize their team performance. — Achal Agarwal, President Asia Pacific, Kimberly Clark, 'CNBC's Asia ‘Business Leader of the Year'. Those who order during the introductory period will receive a free Collective TQ HealthCheck as well as a personal consultation with the author. 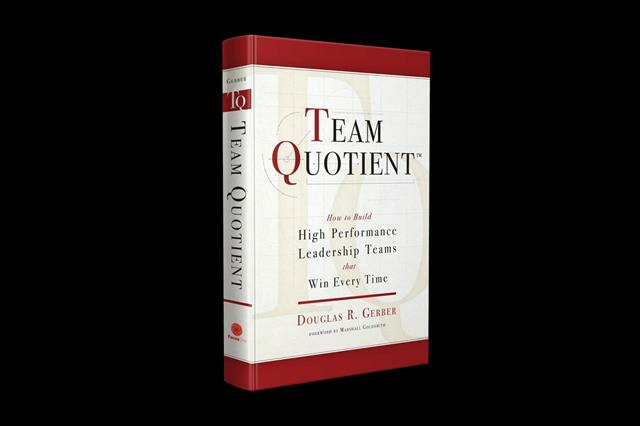 For more information about Douglas Gerber and ordering 'Team Quotient visit http://www.douglasgerber.com . Focus One Limited is a consulting firm that helpsleaders create High Performance Teams founded by author, consultant, and former PepsiCo executive, Douglas Gerber.